This week I’ve reviewed my Personal Learning Network (PLN) and created a quarterly action plan to continue PLN development. My PLN is simply the group of people that I am connected to for the purpose of learning. I commenced this process by plotting my “professional” network using an activity from the Social Learning Practitioner Program, and answering the seven great questions in Mark McNeilly’s article Ask These Questions About Your Professional Network Before It’s Too Late. My key insight from this activity is that my PLN different to my ‘professional’ network – while there is overlap, there are people who belong to only one of these groups. I interact with the people in my PLN with the specific goal of learning through sharing resources and having discussions. 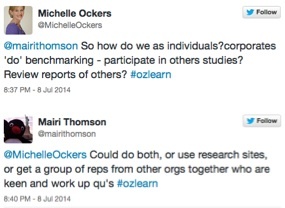 With this realisation, I asked the seven questions posed by McNeilly again, this time just in the context of my PLN. I concluded that while my PLN has been growing recently as I have become active on Twitter (see the graph below showing follower growth), it could be larger and more diverse. 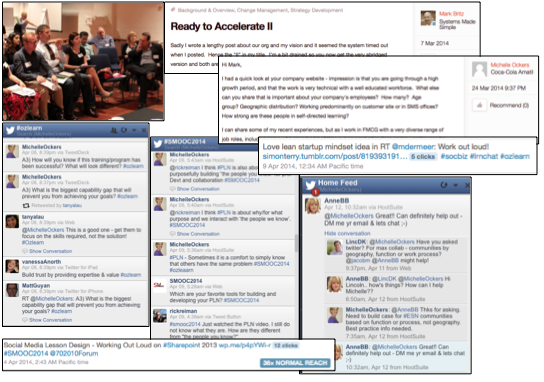 My active PLN consists largely of Learning and Development (L&D) professionals across a small number of industries. On LinkedIn I am connected to almost 500 people, many former colleagues with a broader range of professional backgrounds and industry experience. There are a lot of people with Supply Chain experience, which is relevant to my current role as a capability manager in a Supply Chain business unit. However, I have not actively used LinkedIn to learn with, from and through this group of people (or any other group for that matter!). 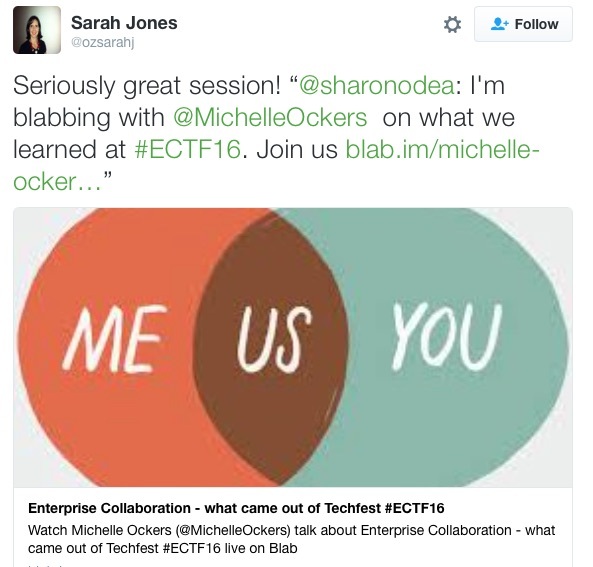 On the plus side, my PLN includes a number of global thought leaders in my field, giving me visibility of important trends and developments. 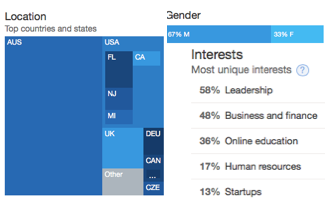 I could not find similar analytics tools for an individual LinkedIn page, but a quick perusal of my connections list confirms the greater diversity in professional background and industry in this group. Of course, there is also that part of my PLN that I am connected to in the ‘real’ world rather than the online world. In the process of working with colleagues in my organisation there is opportunity for continuous learning. 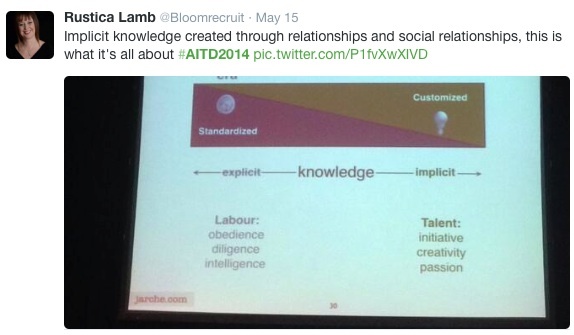 Those that I most often interact with for the specific purpose of learning are in similar job roles to myself. 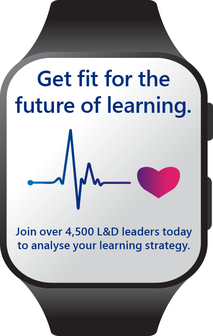 The people outside of my organisation that I make the effort to connect with in person are, again, predominantly in the L&D community. 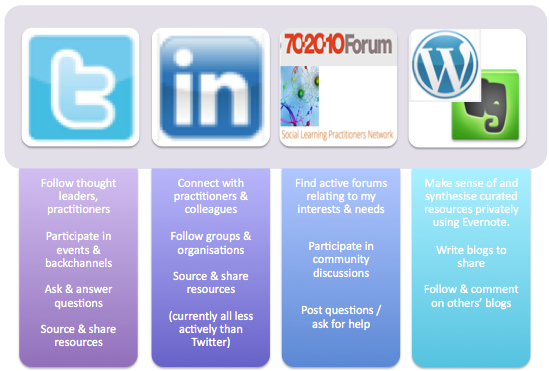 The things I have most commonly been doing in my PLN this year are represented in the image below. Undertaking the Social Learning Practitioner Program (SLPP) has been a big driver of my recent PLN activity. The SLPP tasks (5 completed, 6 underway, 14 to start) have gotten me ‘kick started’ to develop, contribute and utilise my PLN actively and purposefully. I monitor my social media feeds daily using Hootsuite, comment on posts and resources I find interesting, and occasionally have a short discussion with someone in my network. 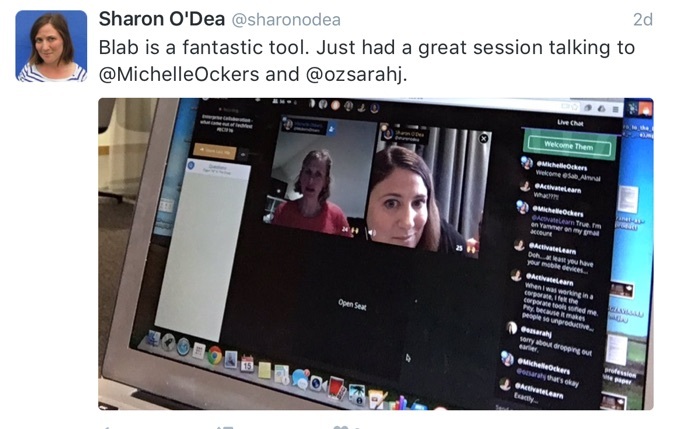 This and participating in live tweet chats (#lrnchat, #ozlearn) has generated new connections and started building relationships. Depending on the topic, I have found these chats promote reflection and different perspectives on my professional activities and interests. I have found them worthwhile. I started this blog on March 8, and have posted around once per week. I share each post on Twitter and, sometimes, on LinkedIn. Outside of tweet chats, the activity which has generated the most engagement in my Twitter network is my post on design of a social media lesson. I’m not sure whether this was due interest in the topic, the fact that an influencer with a large network retweeted it, or that I had shared an original resource that others may find useful – or some other reason. This week I’ve struck a challenge on a work project, and I need to find some information to help me address it. I’ve been able to turn to my PLN on Twitter and quickly source information and arrange discussions with people who can help me to solve this problem. In the ‘real world’ I have attended two events this year – the Learning Cafe Unconference and a breakfast seminar on workplace learning with Charles Jennings from the 702010 Forum. 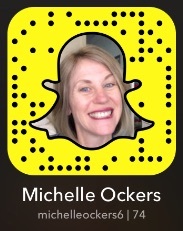 Discussions at the Unconference prompted me (finally) to get serious about developing my PLN. By the time I attended the 702010 Forum event I was participating in the backchannel on Twitter during the event (sounds sophisticated! It feels like getting away with ‘talking in class’). The online discussion continued after both of these events, and enabled further sharing of resources from the events and discussion of ideas and issues raised at the events. 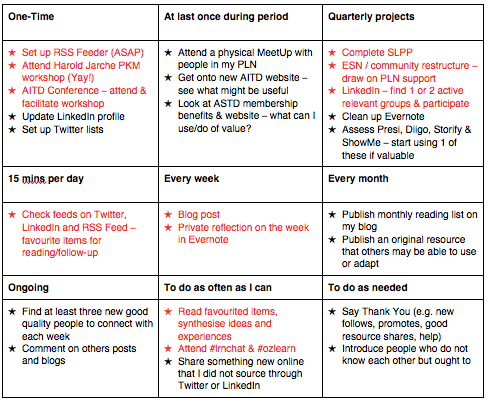 The following digram shows how I am currently using online tools in my PLN.